Found 19 file extension associations related to Norton Utilities and 14 file formats developed specifically for use with Norton Utilities. 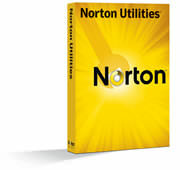 Norton Utilities is a set of tools used to clean up, tune up and speed up PC. Clean up, tune up and speed up your PC to help it run like new. Norton Utilities finds and fixes problems that can slow down your computer. If you need more information please contact the developers of Norton Utilities (Symantec Corporation), or check out their product website.